How long will a unit last? An advanced joint health supplement for dogs, containing the unique ingredient ASU, that feeds and helps to support the cartilage in their joints, helping them maintain normal movement. Dasuquin is available to purchase in UK and Ireland from your local veterinary practice. 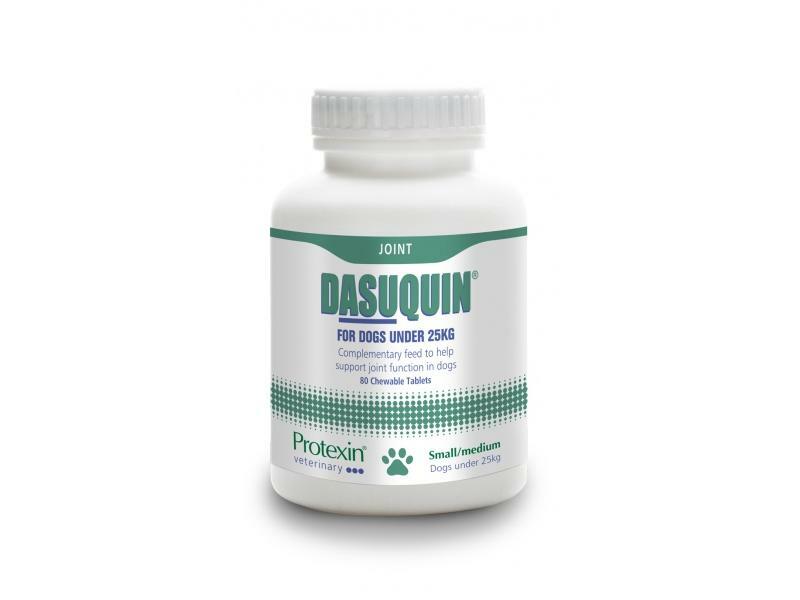 Dasuquin is an advanced joint health supplement for dogs that feeds and helps to support the cartilage in their joints, helping them maintain normal movement. It supports the dog’s joints by maintaining normal architecture and feeding it key nutrients that help it stay healthy. There are three key ingredients that make Dasuquin so effective. A potent combination of natural extracts from avocado and soybeans that help support joint function and comfort of movement. ASU also supports normal function of cartilage cells. Used to form vital components of the cartilage structure that provides a smoother surface for easier movement. A key component of cartilage that helps keep it strong and healthy. Dasuquin also has a natural tasty flavour to make it palatable and encourage compliance. 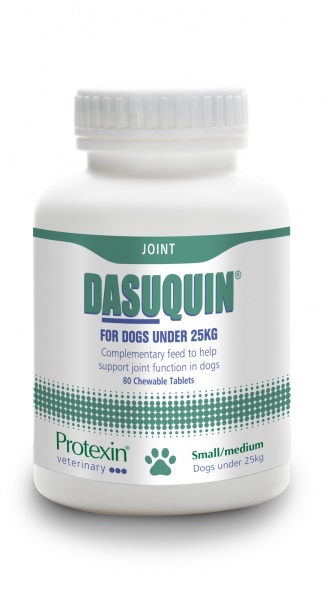 Dasuquin is the only joint supplement on the market to include the effective formulation of ASU (NMX1000®), Glucosamine HCl (FCHG49®) and low molecular weight Chondroitin Sulphate (TRH122®) and has over 50 published articles demonstrating safety, bioavailability and efficacy. Dasuquin is available as tasty, chewable tablets that can be fed directly or crumbled and mixed with food. Feed daily for 4-6 weeks, or as recommended by your veterinary surgeon. After the initial loading period, the number of tablets per day may be reduced by half. Dasuquin has a 3 year shelf life from the date of manufacture. Once open replace the lid and store in a cool dry area. Stored correctly Dasuquin will last until the Best Before End date even if it has been opened. There are currently no questions for Dasuquin Joint Tablets - be the first to ask one!